Okay. I know it&apos;s been like, over a year since I uploaded. I&apos;m really sorry. I&apos;ve tried to keep up with it, I just..couldn&apos;t. I&apos;ll try to upload more, but I make no promises. I know this is a short chapter, but hopefully it satisfies you for a little bit. I&apos;ll start writing more, but I don&apos;t know if It will be Twilight Fanfiction. 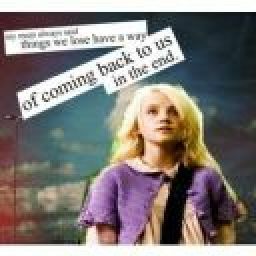 I may do Harry Potter fan fiction, or even orgianl fiction. I don&apos;t know. But I&apos;ll try to write more. Forgive me for not uploading? As soon as that...that dog completed his stupid dare, given by my oh-so-wonderful brother, we jumped away from each other. I wiped my mouth, gagging. "Bella, truth or dare?" I asked still trying to wipe my mouth. "Truth.."she said uncertainly, as though she was scared. I smirked. She knew she was going to pay for what her husband just did. Edward glared at me. Get out of my head! I screamed in my thoughts, and he winced at the pictures I was thinking of. "Okay...what was the best night you&apos;ve ever had with Edward? In detail." I smirked victoriously as Bella&apos;s mouth dropped open. If she were still human her face would have been so red by now. Edward was looking at her curiously, and Nessie jumped up, covering her ears. "Eww, I don&apos;t wanna hear this! Come get me when you&apos;re done!" she complained, running from the room. I rolled my eyes and turned back to Bella. "Umm...I suppose that would be the first night I became a vampire. Because I was awake through it all...and remember it. And we weren&apos;t worried about anything" she stubbornly refused to go into more detail than that. I rolled my eyes, knowing she never would. Edward jumped up. a stupid smile on his face, to go get his daughter. 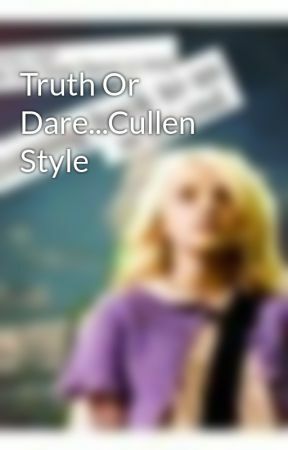 "Emmett, truth or dare?" Bella asked. Not that she really needed to, no one doubted what his answer would be. "Dare" he stated obviously. She thought for a moment. "I dare you too... call Carlisle and tell him you broke Esme&apos;s antique vase." she pointed to Esme&apos;s favorite vase, the one she never allowed us to touch for fear it might break. My mouth dropped open and I was rolling on the ground with laughter, as was everyone else. Emmett looked shocked and a bit frightened. He grabbed his phone, and glared at Bella. "Hello?" we heard Carlisle answer. He sounded exasperated. "Carlisle!" Emmett cried. "I-I&apos;m sorry! I didn&apos;t mean too! It&apos;s not my fault, I didn&apos;t mean to break it!" he sobbed into the phone. "What did you break Emmett?" Carlisle sighed. "You BROKE the VASE? Emmett! You&apos;re supposed to be careful? Can you imagine what your mother will say?" the fact that he called her our mother made us realize there were people around him. "You are in so much trouble-"
"Carlisle!" Emmett interrupted, laughing. "I didn&apos;t break it. It&apos;s a joke. We&apos;re playing truth or dare," he explained. Carlisle was silent for a moment, and then broke down laughing. "Son, don&apos;t ever do that again," he said between laughs. Then he hung up. We all stared at Emmett in shock. Someone must have been by Carlisle to make him act so odd. "Well then...I guess Nessie&apos;s the only one left, huh? Truth or Dare darling?" Emmett grinned at our niece. She looked scared, as she should. Emmett wasn&apos;t kidding about getting her back because of that policewoman thing. "Truth..." I answered unsurely. I was slightly scared. My father stiffened next tom me, and hissed, "Emmett!" Now I was really scared. What was he going to ask me? I should have picked dare...my father nodded once next to me, and I groaned. Emmett grinned evilly, and looked at Jasper, then glanced quickly to Jacob and back to me. My heart started to beat faster. Please don&apos;t ask me what I think your going to ask me... my father stared at me sympathetically, and I groaned again. "So Nes. I think I&apos;ll ask you one of the most obvious questions of all time, though I&apos;ll spice it up a bit. Instead of do you have a crush on anyone, let&apos;s go with.... Have you had any sexual thoughts about anyone?" My head shot up, and my dad and mom both screamed Emmett&apos;s name. "Fine, fine," he surrendered. "Do you have a crush on anyone?" he was obviously unhappy about having to ask this version. "And who is it" he added quickly before I could answer. I dropped my burning face in my hands, and peeked through my fingers.